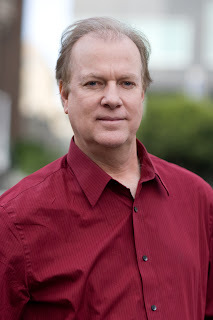 James Scott Bell is the author of the #1 bestseller for writers, Plot & Structure, and numerous thrillers, including Deceived, Try Dying, Try Darkness, Try Fear, One More Lie and Watch Your Back. He is a winner of the Christy Award for Excellence (suspense category) and has been a finalist three times. He served as the fiction columnist for Writer's Digest magazine and has written highly popular craft books for Writers Digest Books, including: Revision & Self-Editing, The Art of War for Writers and Conflict & Suspense. Jim taught writing at Pepperdine University and at numerous writers’ conferences in the United States, Canada and Great Britain. Mr. Bell will speak at the Greater Lehigh Valley Writers’ Group The Write Stuff Conference held March 16 & 17 at the Four Points Sheraton, Allentown, PA. Question: How do you define “inspirational” writing? Bell: The inspirational, or faith-based category, has faith playing a significant role in the story. Usually it is by way of a character's inner struggle even as an outer struggle is going on. Question: If a writer has ideas about writing inspirational works, what guidance could you provide to help him/her to clarify those ideas? Bell: There is no one answer to this. Sometimes a writer knows the theme before beginning. Other writers like to work this out as the story goes along. I think the key is to make sure the lead character is clearly defined for you, is complex, has inner conflict. In the struggle of the story, the ideas will become clearer. The writer might even discover new ways of approaching these matters, which is not a bad thing. Question: What do’s and don’ts can you offer to those interested in entering the inspirational realm? Bell: Well, it's the same for any novelist. You have to be able to tell a good story. Just because you feel passionately about some issue does not mean you are ready for the market. You have to learn the craft and also know that a story is not a sermon between two covers. It has to be a living, breathing thing. Question: How can writers find markets to pitch their inspirational works? Bell: There are two ways. First, go to a good Christian writers’ conference. This is invaluable, as you will meet so many people and that's always to be preferred. The second way is to get a copy of the Christian Writers' Market Guide by Sally Stuart, which is updated every year. Question: Please offer any other words of wisdom you feel may inspire other inspirational writers to pursue their passion. Bell: Passion is good, but it must be tempered by commitment to the craft. There are many tales of writers coming to conferences thinking they have a story given to them almost by divine inspiration, and they are burning to tell it. But they don't yet have the tools to do so. But when you patiently learn how to write better stories, you will feel empowered and confident. That doesn't mean you're spared the struggles of finding a publisher or a market, but it does take you a step further along the road. Try to enjoy the journey.